​Bye Bye Love - All I Have To Do Is Dream - Crying In The Rain - Wake Up Little Susie - When Will I Be Loved - and many, many more!! Rock n Roll with the incredible music of The Everly Brothers! Join Mike Danckert and Jeff Scott as they pay tribute to one of the the biggest acts of the 50s and 60s performing all the hits you know and love. Known for their incredible harmonising and good looks, the brothers soon had multi million selling songs like "Wake Up Little Susie" and "Bye Bye Love" making them one of the most successful singing duos of all time. 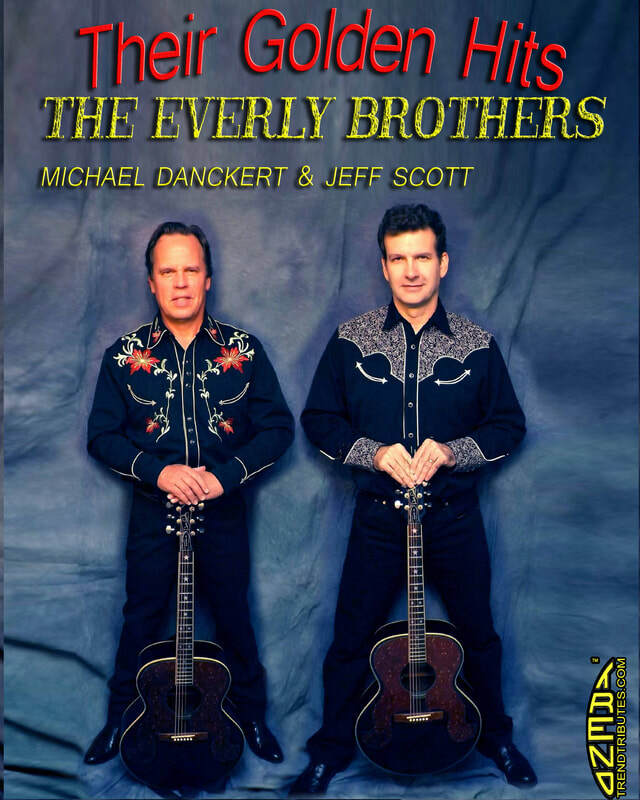 Mike and Jeff have been wowing audiences for years with their Everly Brothers Tribute and the crowds keep coming back for more as this show just sparkles!